Poland appeals to Britain and France to intervene. The German Blitzkrieg continues in Poland. Germany rejects an Anglo-French ultimatum and Britain and France declare war on Germany. 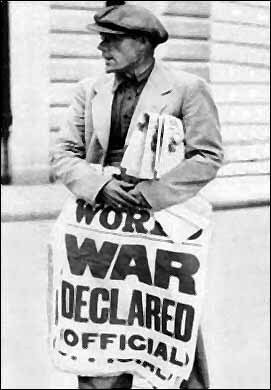 Finally, the news is out that war has been declared, but it will take nearly 6 long years before the Allied Forces defeat Hitler.